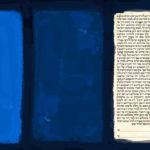 Home / TINAK: This is not a Ketubah, Yes it is! Influenced by the sacred importance and emotion of the Western Wall, this Ketubah is a homage to our deep rooted tradition. Couples looking for a traditional Ketubah with more subdued tones and a fine art quality will love the design of this unique Ketubah. 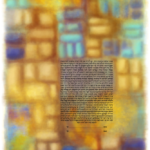 The 72 Stones Ketubah reflects the inner-most connection to Judaism, life, and the importance of marriage. 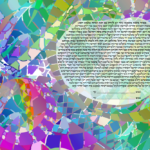 The Ani L'Dodi Vibrant Mosaic Ketubah mixes tons of vibrant colors and patterns with striking lines. 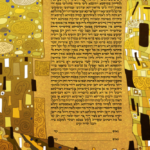 This Ketubah is perfect for the couple who want something that speaks volumes of the ancient tradition of Ketubot, but that will also stand out in a beautiful way. 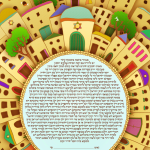 The Around Jerusalem Ketubah depicts life in Jerusalem — filled with rich tradition, history and a beautiful culture. Simple tones colored by vibrant touches through out, this Ketubah is the perfect centerpiece in your new home and beautiful life together. A sacred work of art born out of tradition and culture. 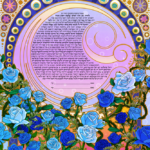 Inspired by the Art Nouveau style this Ketubah contains a blend of blues and purples with an intricate design. The circular patterns frame the text and complete the overall look of this gorgeous Ketubah. This Ketubah is perfect for the couple that wants a traditional work of art with a great style. 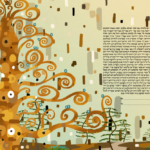 The Austrian Forest Ketubah is a simple design, but conveys a powerful message and emotion, one which is only truly fit for a Ketubah. Exaggerating lines and natural images, this Ketubah depicts the beauty of nature in it's simplest form. This Ketubah is perfect for the couple looking for a traditional Ketubah that has a simple design. 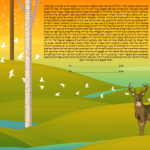 The Birch Keepers Ketubah contains natural themes and powerful imagery to create a gorgeous Ketubah. The natural fade of vibrant tones and large landscape works perfectly with the placement of the Ketubah text. This Ketubah is perfect for the couple that wants a traditional Ketubah with a high-quality. The Blue No. 18 exhibits a minimalist design, but with beautiful tones and simple shapes. The shades of blue compliment beautifully with the white and really emphasize the beauty of the text. This Ketubah is perfect for the couple that wants a traditional Ketubah with a gorgeous and quality design. This work of art contains tons of bright colors arranged in a mosaic composition. 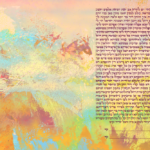 The text is highlighted with a lighter tone and works together with the overall design to create a perfect Ketubah. 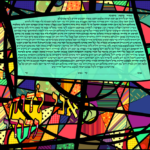 The Bold Mosaic Ketubah is perfect for the couple that wants a colorful traditional Ketubah with a great style. The Burnt Orange Abstraction has the perfect amount of contrast between light and dark tones. The vibrant yellows and oranges met with the darker purples and blues really accent the text to become a cohesive work of art. 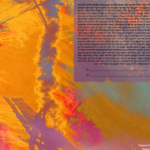 This Ketubah is perfect for the couple that want a traditional Ketubah with an abstract, gorgeous style. The Tree of Life has long been an important symbol in Judaism and is connected with calmness and wisdom. 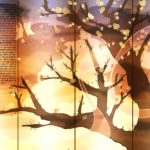 The light shining through the tree contrasting with the cooler colors create a gorgeous Ketubah with a high quality style. This Ketubah is perfect for the couple that wants a traditional Ketubah with a beautiful design. The Deaconess blends patterns and lines with basic tones to create a truly striking design. This style is the perfect balance of intricate forms and subtle shapes, combining both the classic tradition and sanctity of Ketubot. Perfect for a traditional couple looking for a classy work of art with a powerful element. The Dream Reflection Ketubah exhibits softer hues and dynamic texture. The blends of colors and text placement create a simple, but gorgeous design. This Ketubah is perfect for the couple that wants a traditional Ketubah with a classic design and high-quality style.